Contrary to perceptions, breastfeeding is an acquired skill as much as a natural one. Even women determined to breastfeed often need help, especially in the first weeks of a child’s life. Lactation consultants offer invaluable hands-on assessment and guidance, including help with positioning the newborn and tips to maintain or increase milk supply, as well as combatting the lack of information and stigma that are known to contribute to low breastfeeding rates, particularly among African American women. One such lactation consultant is Mary Jackson, who has worked tirelessly in the field for almost three decades and has taught breastfeeding best practices to doctors from around the country. Based in Atlanta, Jackson co-founded Reaching Our Sisters Everywhere to provide breastfeeding education and support within African American communities (which have historically low rates of breastfeeding). Nonprofits like ROSE are critical in Georgia, which mirrors the racial disparities in breastfeeding at the national level. Racial disparities in breastfeeding may reinforce broader health disparities in the African American community: For those mothers and children for whom breastfeeding is an option, it has been shown to reduce childhood illnesses, lower the risk of Type 2 diabetes in mothers and children and even lower women's risks of certain types breast and ovarian cancer. But in a bitter irony, a law that was initially pitched as a way to expand access to lactation care now jeopardizes the livelihoods of Jackson and more than 800 lactation consultants currently working throughout Georgia — and the lives and health of the women and children they serve. At the behest of the U.S. Lactation Consultants Associations — the lobbying arm of the International Board Certified Lactation Consultants (IBCLCs) — Georgia recently passed a licensing law requiring that all lactation consultants become “certified” to continue practicing. To do that, a consultant must complete approximately two years of college-level courses and at least 300 hours of clinical experience. No other state licenses lactation consultants in this way; only three other states bother licensing lactation consultants at all. Georgia lawmakers passed the license as a way to protect public health and safety and to increase insurance reimbursement for lactation care. But in 2013, when Georgia’s Regulatory Review Council reviewed the proposed licensing law, it recognized that licensing lactation consultants would harm women in low income, minority and rural communities. The Review Council concluded that licensure “would not improve access to care for the majority of breastfeeding mothers” and identified “no substantive evidence of harm” caused by the “unregulated practice of lactation consultants.” For those reasons, the Review Council unanimously recommended that lawmakers reject the proposed license. Thanks to the expensive, time-consuming hurdles imposed by the new law, becoming a board-certified lactation consultant is simply not an option for Jackson and many other lactation consultants. As a result, Georgia could suffer from a critical shortage in breastfeeding support. Nearly 90 percent of current consultants will no longer be eligible to work, leaving very few specialists able to care for the roughly 2,500 babies born in Georgia every week. Moreover, the board-certified lactation consultants who already exist in the state are concentrated in urban areas, so a law that only allows them to guide mothers would leave an immediate void in low-income, minority and rural communities. 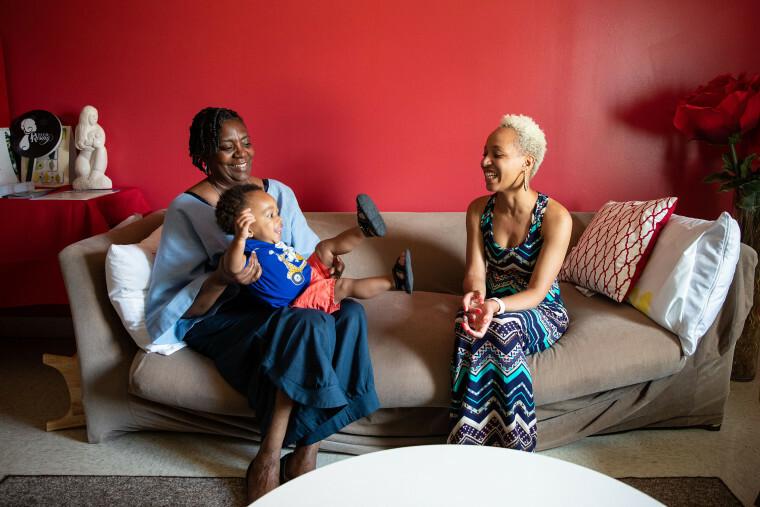 Even families willing and able to pay out-of-pocket for breastfeeding support will find it difficult to locate services when only certified consultants are allowed to practice. Board-certified lactation consultants often work in clinical settings, like hospitals and doctor’s offices, meaning moms must schedule appointments in those settings and possibly wait days to see a practitioner. Non-certified lactation consultants, however, are more widely available and often visit moms directly in their homes or answer questions over the phone. To challenge the licensing law, Jackson and ROSE joined with the Institute for Justice and sued the state. That prompted an agreement with Secretary of State Brian Kemp — just days before the Georgia licensing law would have thrown hundreds of lactation consultants out of work — not to enforce the law against unlicensed lactation consultants while the lawsuit is pending. Part of the push for licensure is actually driven by federal law: Medicaid has long required that all reimbursable services be conducted by a “licensed” professional. So when the the Affordable Care Act (also known as “Obamacare”) required insurance providers to cover breastfeeding support, Medicaid's licensing standard kicked in for those patients covered by Medicaid. The U.S. Lactation Consultants Association readily admits that their desire to get covered by Medicaid is “one of the major reasons that we are working so hard on licensure,” and why they have aggressively lobbied states to license the practice. The issue is that, since Medicaid was designed for lower-income families — who are the least likely to afford lactation consultants — its a license requirement for lactation consultants would disproportionately impact the very women the provision was likely enacted to assist. The problem has been exacerbated by private insurance companies, for whom licensure need not be a barrier to covering lactation consultants, but for whom imposing licensure requirements for care limits how often their customers can claim benefits. In June, for instance, a federal judge ruled that UnitedHealth Group violated the ACA when it refused to reimburse women for lactation consultant services in California, one of 46 states that does not license the practice. All of this is part of a troubling broader trend: Thanks to a mania for credentials, new occupational licenses keeping popping up. In the 1950s, about one in 20 workers needed a license; today, that number has skyrocketed to about one in four. That figure is even higher among health care support occupations, where almost half of those workers are either licensed or certified, according to the Bureau of Labor Statistics. This senseless rush to license any and all health care-adjacent professions creates barriers to entry into these fields, harming health-care workers and the patients they serve. A victory for Jackson and the lactation consultants in Georgia would preserve access to quality care for the women who need it the most.